We’re getting close, campers. One month from today, The Battle of the Labyrinth will be released. 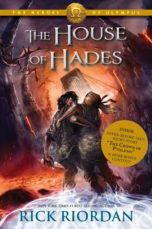 My first stop, on May 6, will be BookPeople in Austin – which has become Percy Jackson World Headquarters over the last few years. All are welcome to join the celebration. I hear rumors that a centaur will be there from Camp Half-Blood, along with all kinds of food and games to keep you happy so your whole time will not be spent in a signing line! The event will be held outside so we have lots of room. Just keep your fingers crossed for good weather. After that, I’m off on a nationwide tour – details available on the web calendar. I can’t wait to meet everyone at the events. 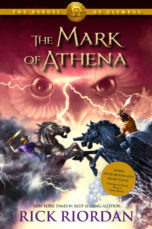 As usual, we’ll have T-shirts to give away and all kinds of Greek mythology fun. Most of all, I’m looking forward to finally revealing what happens in The Battle of the Labyrinth. Kirkus Reviews just gave the book a starred review and called it the best one yet in the series. My fingers are crossed that you will agree. 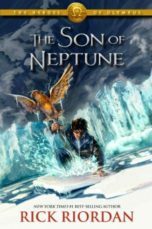 A few other newsy tidbits: Next fall, look for a paperback boxed set of the first three Percy books, and also a deluxe hardcover edition of The Lightning Thief with brand-new illustrations. 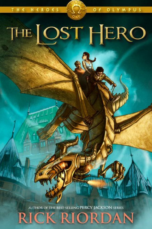 Later this month, the new Hyperion Percy Jackson site will launch, with awesome illustrations of characters from the series. Have you always wondered what Percy and Annabeth might look like? Well, you will get one possible version when the website goes live. 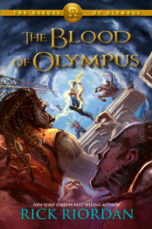 Percyjacksonbooks.com will be the address. It’s not up yet, but check back later in April. I think you’ll be impressed. This month, I’ll be doing quite a few library conferences, but one public event you shouldn’t miss: If you’re in Southern California, I’ll be at the Los Angeles Festival of Books on Saturday, April 26. At 11:30, I’ll be on a panel with Erin Hunter (the Warriors series) and Cornelia Funke (Inkheart, Thief Lord). It should be a fantastic event, and wow – I’ll be sharing the stage with two of my sons’ favorite authors! More details are available on the festival’s website. Until then, keep reading and keep your armor polished. The battle is drawing near!